The competitor advertised offer must be within a 10km radius of the Australian Skin Clinics clinic from which the client is claiming the Price Match. Evidence of the published/advertised price must be provided at the time of booking. Simply cut out the advertised price or offer and bring it into the clinic with you. Australian Skin Clinics reserves the right to contact the competitor at any time to authenticate the current price. 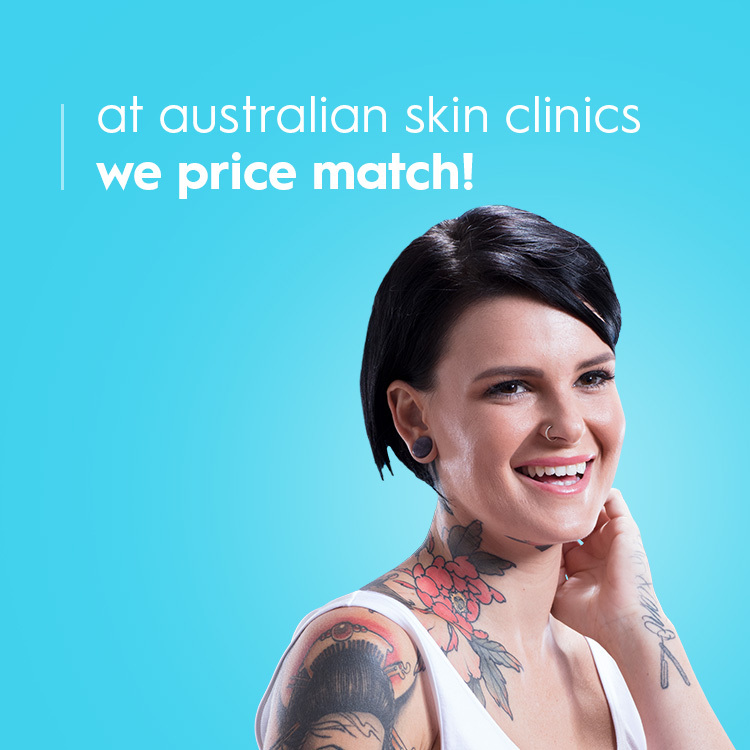 The Australian Skin Clinics Price Match does not price match another price match. Price Match excludes skin products and all injectable treatments. The Price Match does not apply to offers made by group buying, discount or coupon generating website organisations. Only applies to competitor brands and does not include price matching between other Australian Skin Clinics locations. The Price Match cannot be applied to purchases that the client has already paid for or received. Each client will require a full consultation and assessment, and the Australian Skin Clinics medical practitioners, nurses and technicians reserve the right to determine suitable treatment for the client and can at any time refuse to treat. The Australian Skin Clinics Price Match scheme may be reviewed or cease any time without prior notice. Australian Skin Clinics reserves the right to refuse Price Matching of competitors heavily discounted items.